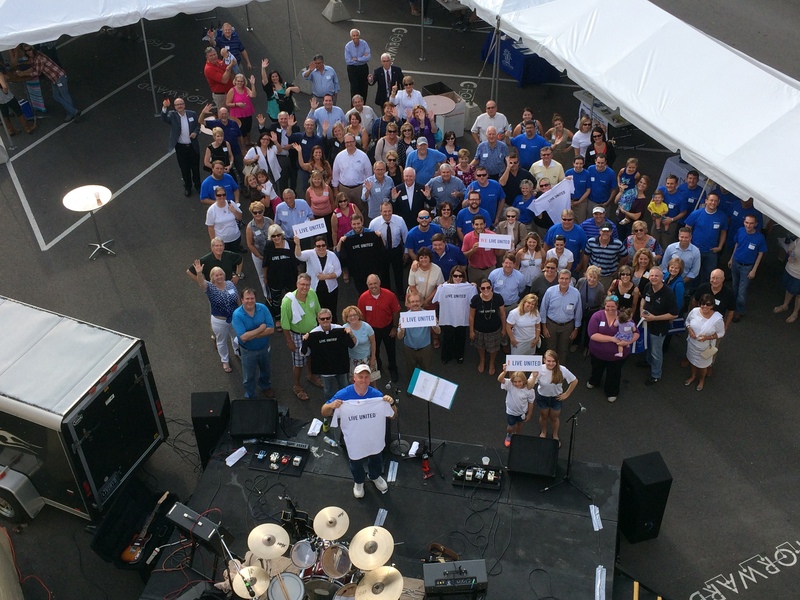 C-Forward employees and guests formally kicked off the United Way campaign for 2014. Fort Thomas resident Brent Cooper, president of C-Forward in Covington, is chairing the 2014 United Way of Greater Cincinnati-Northern Kentucky annual campaign. “Having served in a number of community organizations over the years, I’ve seen first hand the positive impact United Way has on our community,” Cooper said. “Our goals are the same. We all have a vested interest in ensuring our community will continue to progress and our children will have a better future. Cooper is actively involved in the community, having recently served as interim president of the Northern Kentucky Chamber of Commerce. He is a past chair of both the NKY Chamber and the NKY Workforce Investment Board. In December he completed his service as Secretary of the Gateway Community & Technical College Board. He is a current member of the Covington Partners Board, the Kentucky State Chamber Board, and the Northern Kentucky Education Council. He also serves on the Fort Thomas Planning Commission. As Northern Kentucky campaign chair, Cooper is part of the regional campaign cabinet for United Way of Greater Cincinnati. He has recruited his Northern Kentucky cabinet and begun meeting with business and community leaders throughout the region. The campaign kicks off August 27 at Fountain Square. Cooper’s cabinet includes Carri Chandler (Toyota), Niki Clare (Citi), Mark Exterkamp (Bank of Kentucky), Karen Finan (Gilman Partners), Kristi Nelson (Pomeroy), Kirk Reich (AK Steel), Phil Schworer (Frost Brown Todd), Mike Sipple, Jr. (Centennial, Inc.), and Dr. Angie Taylor (Gateway Community & Technical College). In 2013, Northern Kentucky raised $4.6 million – a 10 percent increase over 2012 and the highest United Way campaign result in the area’s history. The annual United Way campaign includes Hamilton, Clermont and Brown counties and the Middletown area in Ohio; Boone, Campbell, Grant and Kenton counties in Northern Kentucky; and Dearborn and Ohio counties in Southeastern Indiana. It is a fundraising partnership of United Way and the Greater Cincinnati Region of the American Red Cross.